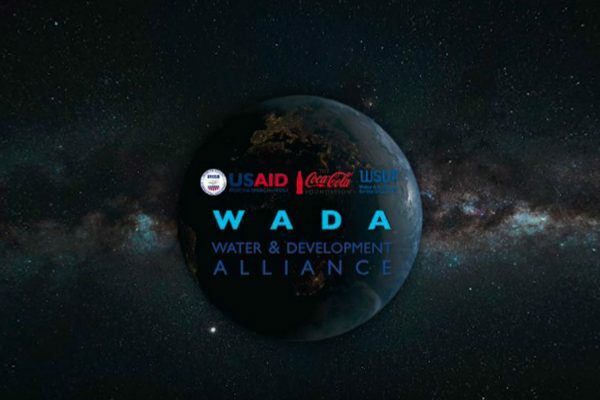 Assignment name: Providing technical support to USAID and the Government of India in a knowledge partnership to develop its water, sanitation and hygiene capacity from national to city level and supporting the private sector to achieve Swachh Bharat Mission goals. Many cities in India do not meet basic sanitation standards and around 13% of households have no access to latrine facilities. The Government of India has pledged to improve sanitation across the country, and has set up the Swachh Bharat Mission (SBM), also known as the Clean India Mission, to achieve this goal. SBM is a national commitment to provide sanitation and toilet facilities for all 4,041 Indian cities by 2019. As well as building toilets, it addresses a broad range of issues including weak infrastructure, lack of management and capacity within the country’s water, sanitation and hygiene (WASH) sector and poor awareness of good hygiene practices. SBM also provides good governance and policy frameworks to support the transformation of the sector. We’re working with USAID in a knowledge partnership with the Government of India, developing its WASH capacity from national to city level, and also working with the private sector to achieve the goals of the urban SBM. Our approach brings together support and technical guidance to the programme at national level. This works alongside the demonstration of scalable models for improved sanitation within the pilot city of Visakhapatnam in the state of Andhra Pradesh. Initial work in Visakhapatnam focused on achieving Open Defecation Free (ODF) status in the city. Our team developed a unique ward-by-ward approach to stop the practice of open defecation, which involved working with specially created ODF Coordination Committees that are made up of existing community groups. This helped to better understand sanitation needs as well as promote behaviour change. Nine tools and products have been developed through our experience of working in Visakhapatnam. These tools combine to form ‘SBM in a Box’ which is a model programme to support the rollout of SBM in urban India. For example the Micro Planning Workbook identifies gaps in sanitation coverage in low income communities through household level surveys. Another tool, the Universal Sanitation Accelerator App, is a widely used android app that supports SBM officials in evaluating their progress and developing action plans to accelerate SBM implementation. 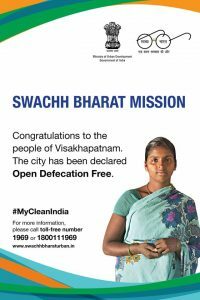 One of the programme’s major successes is Visakhapatnam achieving open-defecation free status in late 2016, following an innovative ward-by-ward campaign to change behaviours. 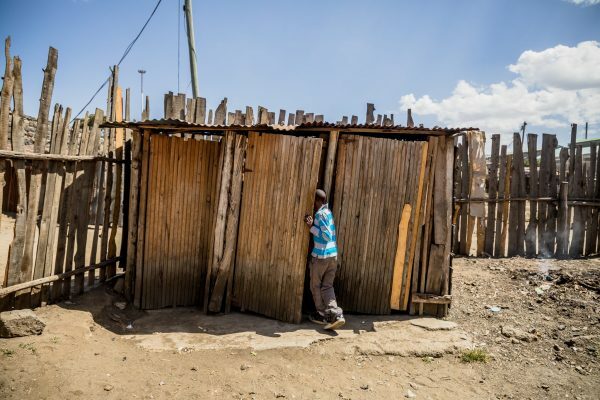 250,000 residents have gained access to toilets, enabling low-income residents to lead cleaner, more dignified lives. In 2017, the city of Visakhapatnam was recognised as the third cleanest in India, up from 44th place in 2015. 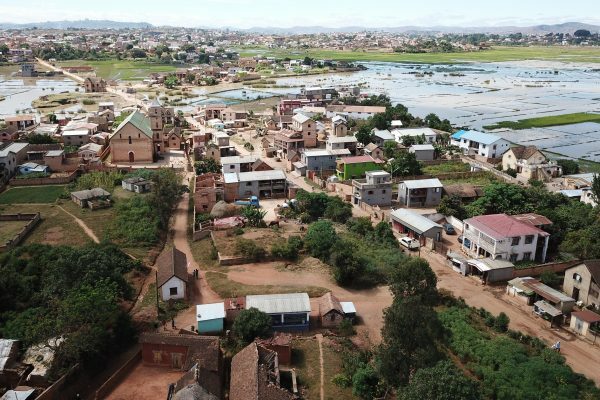 The Ministry of Urban Development has recognised the work implemented by WSUP Advisory and the Greater Visakhapatnam Municipal Council as representing leading practices in India, and the city has become a role model that other urban authorities would like to emulate. Article: Visakhapatnam was in 2017 rated the third cleanest city in India in 2017, up from fifth place in 2016. This is a huge jump from 44th cleanest city out of 75 with a population of over one million in 2015. Read the full article here.